Why Major in General Engineering? Are you interested in engineering but not sure what your specialty would be? The General Engineering degree offers a broader experience in science, math, statistics, computer science, and engineering in both of its options. This foundational experience will allow you to work in multiple fields and be flexible for a changing workplace. Are you ready to improve your world with some fantastic new use of electronics, a new approach to IT, or a new manufacturing process? General Engineering might be the right choice for you. Students graduating in the field can expect to find jobs with titles such as (but not limited to) Application Engineer, Design Engineer, Electrical Engineer, General Engineer, Manufacturing Engineer, Test Engineer, and Quality Engineer. The electronics option is very similar to an electrical engineering degree. In a traditional EE program, however, students take would take 2 – 3 additional classes in electronics and electrical circuits for a completion. The Industrial Statistics option offers students coursework that is similar to what an Industrial Engineer would take. Just like the Electronics option, however, there are a few more courses that an IE would take that are not in the Industrial Statistics program. 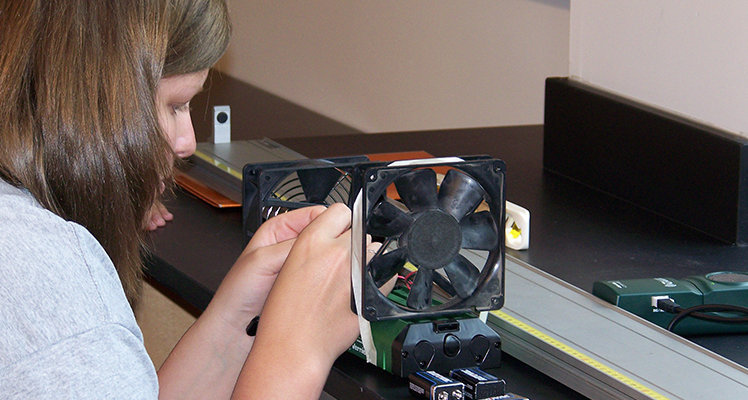 Expect a hands-on experience with a balance of understanding the theoretical background and applying what you’ve learned with equipment that engineers use in the lab and office. Anticipate close relationships with faculty, collaboration with students, and interactions with mentors in the field as you use what you’ve learned to design solutions to engineering problems throughout your undergraduate career.